Several suspicious packages containing suspected bombs were intercepted by authorities on Wednesday, 10/24, after being sent to prominent Democratic political figures as well as a media outlet and a liberal donor. Secret Service intercepted devices at mail screening facilities addressed to the homes of former president Bill and Hilary Clinton in Chappaqua, NY, and former president Barack and Michelle Obama in Washington, DC. A bomb package was sent to the headquarters of CNN in New York City addressed to former CIA Director John Brennan who is actually an NBC News analyst. That was removed by the bomb squad and taken away to be analyzed. The package also contained an envelope with an unknown white powder. U.S. Representative Debbie Wasserman Shultz's office in Sunrise, FL, also reported receiving a package. That package had been sent to former Attorney General Eric Holder, but was returned to sender due to an address problem. The return address on all of these suspicious packages has been Wasserman Shultz's FL office. She was the former chairwoman of the Democratic National Committee. On Monday, 10/22, a similar device was sent to the home of liberal billionaire donor George Soros in Bedford, NY. No one has been harmed. "Acts or threats of political violence have no place in the United States," President Donald Trump said. "This egregious conduct is abhorrent to everything we hold dear and sacred as Americans," Trump said, adding, "We are extremely angry, upset, unhappy about what we witnessed this morning, and we will get to the bottom of it." A package received at New York Gov. Andrew Cuomo's office contained a data drive with information from the far-right wing group the Proud Boys. 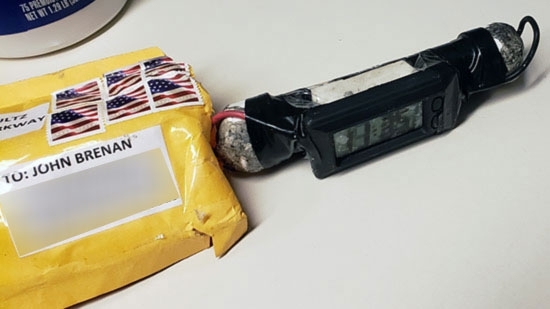 A suspicious package found at the office building of Sen. Kamala Harris, D-Cali. and the San Diego Union-Tribune was a false alarm. A package sent to Rep. Maxine Waters, D-Cali. was found at the Capitol Hill screening facility in Maryland and is being investigated. Another package addressed to Rep. Waters was intercepted at a Los Angeles mail facility. UPDATE: A suspicious bag was found outside the office of State Rep. Tom Murt (R) on York Rd. in Hatboro, Montgomery County. The bag was discovered just after 10 p.m. Fire and police responded as well as the Montgomery County Bomb Squad. York Road was closed during the investigation. The all clear was given around 11 pm. Murt represents the 152nd legislative district. According to the New Jersey Department of Health, seven children have died and nearly a dozen remain sick after a viral outbreak inside a rehabilitation facility. This is happening at the Wanaque Center for Nursing and Rehabilitation in Haskell, Passaic County. The center takes care of medically fragile children. They are suffering from a strain of adenovirus (#7) which usually causes mild illness but is proving severe for the these children with compromised immune systems. The virus is very contagious and gets passed through close contact, coughing, and sneezing. A team from the health department remains at the facility. An inspection on Sunday found minor hand-washing deficiencies. Philadelphia Police are investigating after a bully set a classmate's hair on fire while the other kids laughed. 13-year-old Neveah Robinson was waiting for the SEPTA bus after school last Tuesday, 10/16, at 57th and Malvern Avenue, two blocks from Samuel Gompers School in Wynnefield. The boy came up from behind her and used a lighter to set the front of her hair on fire. Robinson said she used her hands to put it out. It had quickly singed off inches from the front of her curly hair and left a two-inch bald spot and bald patches on her hairline. She suffered first degree burns. The eighth grader said other kids were just laughing at her and recording the incident. Tanya Robinson, Naveah's mother, took her to Children's Hospital of Philadelphia for medical treatment. She also filed a police report and hopes the School District of Philadelphia will take appropriate action. Robinson says that her daughter was a victim of bullying another time two years ago at a different school when she had her thumb broken. She is wearing a head scarf now to cover up the burns.